The sounds of New Orleans and early jazz at the Kennedy Center! One night only! New York City gusto meets New Orleans flair with this all-star jazz lineup you won’t want to miss. *$24 offer (tix reg. 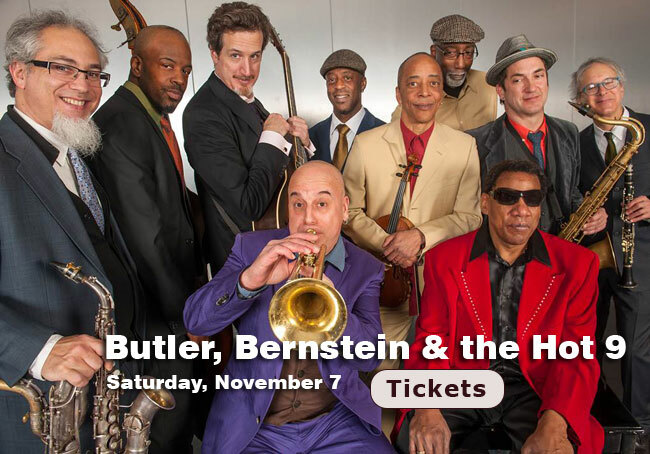 $30) valid on all remaining seats for Butler, Bernstein & the Hot 9 at 7 and 9 p.m. on 11/7. Offer subject to availability. Not valid in combination with any other offer. Not valid on previously purchased tickets. Offer may be withdrawn at any time. Service fees may apply.